A hedge fund manager who leads a fox hunt accused of ­breaking the law made several financial donations to leading Tory MPs. Johan Christofferson is joint master of the Jedforest Hunt where, it emerged last week, two huntsmen have been charged with illegal activity. They were secretly filmed by the League Against Cruel Sports Scotland (The League), who allege the footage shows huntsmen repeatedly sending their hounds after fleeing foxes. Hunting with dogs in Scotland is ­illegal but hunts can use hounds to flush foxes from cover but they must then be shot. Mr Christofferson – who has not been charged with any offence – is a major Tory donor who has previously been mired in controversy. He is a former joint master of the Isle of Wight Hunt and, in 2004, was banned from taking part for a month. The ruling by the Master of Foxhounds Association came after pro-hunt protesters left animal carcasses in Brighton during a Labour Party conference. Isle of Wight Hunt worker Stuart Trousdale dumped two calves, a horse and a bullock in protest at Labour’s bid to ban hunting. Mr Trousdale served as joint master of Jedforest Hunt from 2008 to 2014 before Mr Christofferson took up the role. Concerns have been raised over financial donations by Mr Christofferson to leading Tory MPs. He funded Simon Hart’s election campaign. Mr Hart is Tory MP for Carmarthen West and South Pembrokeshire. He also sits on the UK Government’s environment committee and faced resignation calls in January when it emerged he would earn £30,000 from the Countryside Alliance – who want the fox hunting ban in England and Wales repealed. Mr Hart will be paid as a consultant by the Countryside Alliance but critics said his role on the environment committee means he has a conflict of interests. Mr Christofferrson has made three donations to Mr Hart – £5750 in 2009, £5000 in 2010 and £5000 in 2011. He has also made donations to Nick Herbert MP, the Tory minister for police and criminal justice, including one of £10,000 in 2009. In that same year, The League wrote to the parliamentary standards commissioner asking him to look into donations made to Mr Herbert by people linked to fox hunting. This followed his confirmation that the Tories would offer a free vote on repealing Labour’s fox hunting ban. Mr Herbert was then shadow environment secretary but the commissioner decided no rules had been breached and the League was later censured in 2011 by the Charity Commission for political activity. Mr Herbert said that The League’s 2009 claim regarding donations was “vexatious”. 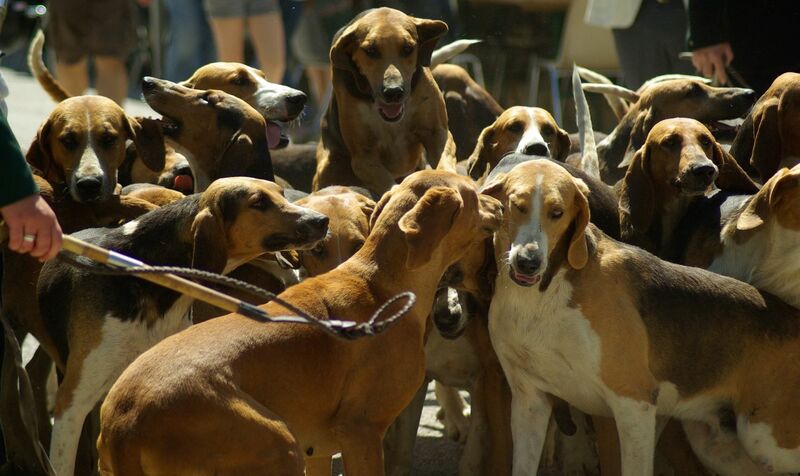 Jamie Stewart, director of Scottish Countryside Alliance, said: “All ­Scottish Mounted Foxhound packs operate under a strict protocol linked to the Protection of Wild Mammals Act. Mr Christofferson, Mr Hart and the Jedforest Hunt all declined to comment. The covert footage of the Borders hunt was released last week by The League to coincide with the Scottish Government’s review of the ­Protection of Wild Mammals Act. Lord Bonomy was asked to review the law after allegations that hunts regularly flout it and he finished taking evidence at the end of March. There has not been a single prosecution of anyone with a mounted hunt since the law was changed in 2002. In January, two of Police Scotland’s most senior wildlife crime officers told a Holyrood inquiry they could find no evidence that mounted hunts in Scotland were breaking the law. But last year, the LACS claimed nearly half of hunts were acting illegally. LACS’s investigators secretly filmed five hunts between December 2014 and March 2015 and saw no shotguns on 16 separate outings. The Scottish Countryside Alliance said then that the Scottish Government’s most recent wildlife crime report “failed to support the scandalous and unfounded allegations of widespread illegal fox hunting in Scotland”. A version of this story was published by the Sunday Mail on 3rd April 2016.